DaBliss.com, a soon-to-be-released online dating site, announced that the site will offer a “Race to a Million Members Giveaway" for $1,000 cash. The only requirement to enter for a chance to win is completing the signup on DaBliss.com and filling in a full member profile with a personal photo. Doing so will automatically enter the said member into the cash drawing. DaBliss is a new dating site that was designed after the founders did extensive research into other dating sites. The culmination of over 10 years of research, DaBliss is built to have a unique “Likes and Dislikes” matchmaking technology. This technology was programmed to learn from members’ actions and then to deliver better matches in real time. The drawing seeks to reward those who join the site early. Once fully in operation, DaBliss intends to offer a monthly giveaway. Contestants can sign up for the site and enter the contest on the day that DaBliss launches. “I’ve been researching online dating sites for more than 10 years. DaBliss is the direct result of all of it, built to be the most responsive, best dating site. On top of that, we want to give back, too. So, we’re having a giveaway where we’re giving a thousand dollars away for folks who sign up early. That’s not the end, though. We’re going to have a giveaway every month. Between the giveaways and the charitable donations you can find on our site, we’re hoping to do our part to make the world a better place,” said Paul Smith, founder of DaBliss. 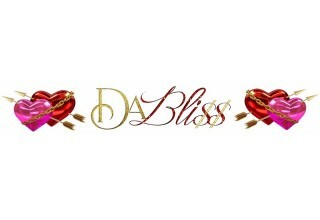 When DaBliss.com launches soon, the dating site will be available on PCs, laptops, tablets or mobile devices. The planned DaBliss App will be available online as well for anyone living in the United States and Canada. All people over the age of 18 can join. DaBliss plans to offer enhanced privacy settings that will keep users safe and, thus, browsing with confidence. For more information about the "Race to a Million Members Giveaway," the new dating site or to make a press inquiry, contact DaBliss at adming@dabliss.com.